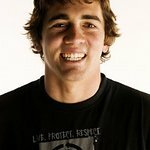 Greg Long is the only surfer to win the Quiksilver Big Wave Invitational, the Maverick’s Surf Contest, and the Red Bull Big Wave Africa event. He is the most decorated surfer in the Billabong XXL big wave surfing awards. Google trends for "Greg Long"
We don't have any videos related to Greg Long.